Samantha has hand crafted costumes for the kids since birth (there’s, not her’s silly). 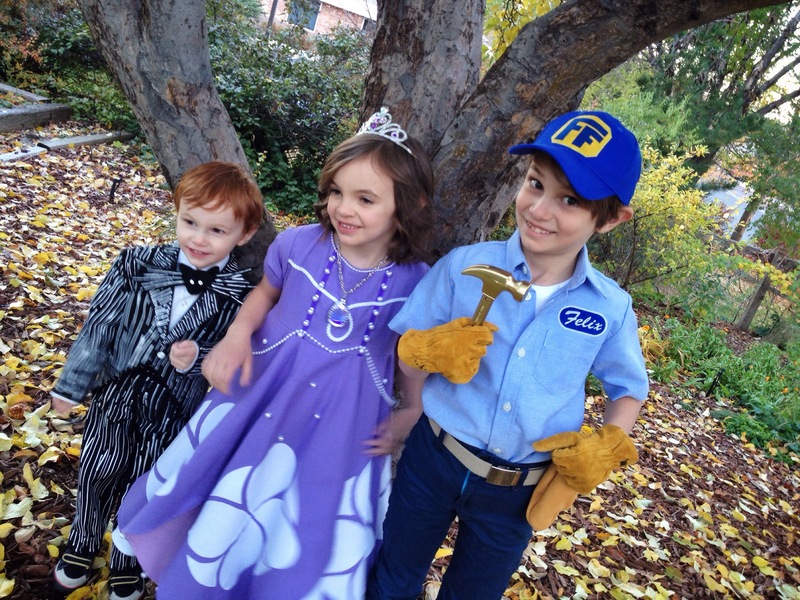 This year we have, from left to right, The Pumpkin King (Nightmare Before Christmas), Sofia the First (Disney), and Fix It Felix (Wreck It Ralph). Yup, Halloween is a pretty big deal in our house. 31 Oct	This entry was published on October 31, 2013 at 6:41 pm and is filed under The Kingstons. Bookmark the permalink. Follow any comments here with the RSS feed for this post. Older: Just a little water. Newer: There’s a first for everything.